Ladies, it’s time to grab some friends and head over to the Hunt Valley Silver Spring Mining Company. 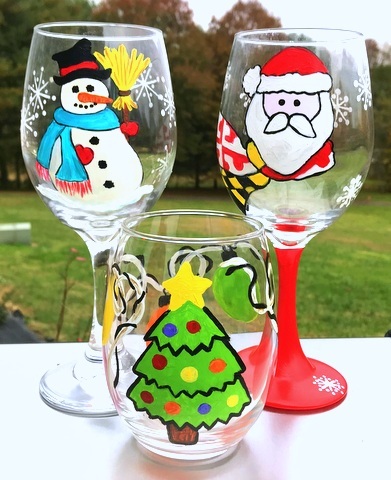 They are hosting their first wine glass painting “Girl’s Night Out” with Spirited Sisters Studio. No artistic skills or talent needed because local artist Kathy Smith gives easy to follow instructions. Wine tasting will be offered and can help lubricate the creative process. Door Prizes too!! Make a night of it and arrive early for dinner. The Silver Spring Mining Company has an extensive menu. Plus, it’s 1/2 price burger night.